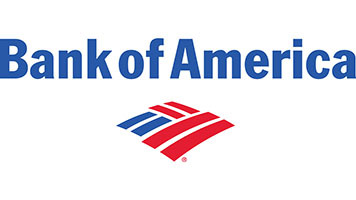 The Bank of America Talent Acquisition (TA) team is seeking a forward-thinking marketing advisor who will join a global team of employer brand marketers responsible for attracting and engaging top talent. You will develop and implement marketing strategies and programs to acquire candidates across traditional, digital and social platforms. You would also be responsible for driving recruiter and TA leader engagement for the existing candidate brand and supporting various sourcing strategies. The marketing advisor role requires a passion for digital media and an intense curiosity about the future of how jobseekers look for their next career. The ideal candidate must be able to navigate a matrixed organization and collaborate across teams. This person must also possess the aptitude to analyze and present break-through analytics on program performance. • As part of the Global Employer Brand team, develop and execute brand and marketing strategy for Talent Acquisition teams. • In partnership with marketing agency and key internal stakeholders, manage and evolve our recruitment marketing strategy to support segmentation efforts across priority target groups in key geographies and candidate groups. • Work with other employer brand practitioners and a creative support to successfully create unique, scalable marketing tools and assets that will improve recruiter efficiency and enable more effective targeting and conversion of passive candidates. • Uncover insights that help optimize candidate communication and the digital/social content strategy by using candidate research and performance metrics. • Prioritize opportunities to extend the employer brand team’s reach across the candidate journey, beyond attraction and discovery. • Serve as a thought leader and educator for our employer brand across businesses. • Develop and implement a media test plans to increase learning, optimize performance and maximize marketing investments. 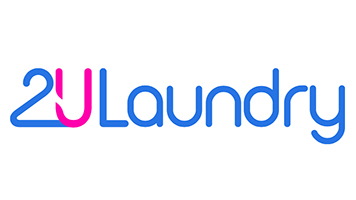 • Manage Careers digital platforms, in partnership with Technology, TA and Communications teams. • Manage relationship with certain talent acquisition teams, including presenting quarterly reviews, leading annual media planning and supporting ongoing marketing needs. • Create, maintain and report on brand/recruitment marketing KPIs and other success metrics. • Manage marketing budget, allocations and invoicing. • 3-5 years marketing experience, recruitment experience a plus. • Analytical and process-driven with a love of making things run more smoothly. • Curiosity and inclination to experiment and stay current with new marketing trends and tactics. • Proven record of driving results and innovation in a marketing-related role. • Strong record of utilizing analytical skills to inform program design and development. • Understanding of the digital space – including social media – and how it impacts the jobseeker’s recruitment experience. • Highly organized with strong operational and management ability. • Excellent verbal, written and team communication skills.